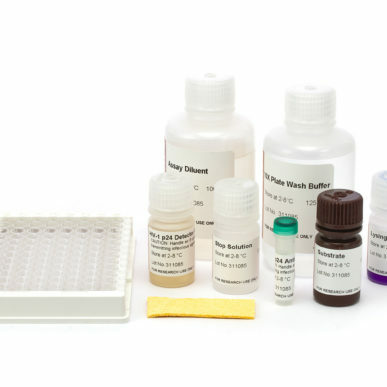 The IMMUNO-TEK Guinea Pig IgG ELISA Kit is a rapid, easy to use enzyme-linked Immunosorbent assay (ELISA) designed for the measurement of guinea pig IgG in plasma, serum, or other guinea pig biological fluids. Microplate wells coated with polyclonal antibodies to guinea pig IgG form the capture phase of the assay. 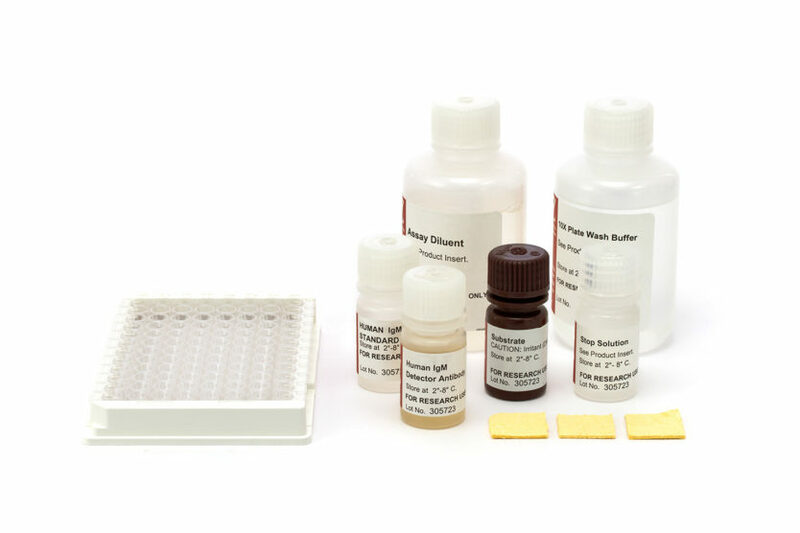 Guinea pig IgG specimen samples along with the supplied standard are diluted appropriately with Assay Diluent and are then incubated in the microplate wells. After a wash step, captured guinea pig IgG in the well is incubated with detector antibody, a polyclonal antiguinea pig IgG conjugated to horseradish peroxidase (HRP). This antibody reacts only to the Fc portion of the immunoglobulin molecule allowing for the specific detection of IgG. After another wash step, the chromogenic substrate tetramethyl benzidine (TMB) is added and a blue color develops in proportion to the amount of guinea pig IgG that has been bound to the antibodycoated plate. The enzyme reaction is stopped by the addition of Stop Solution which results in a color change to yellow which can be measured spectrophotometrically at 450 nm. The concentrations of guinea pig IgG are then calculated from a standard curve.